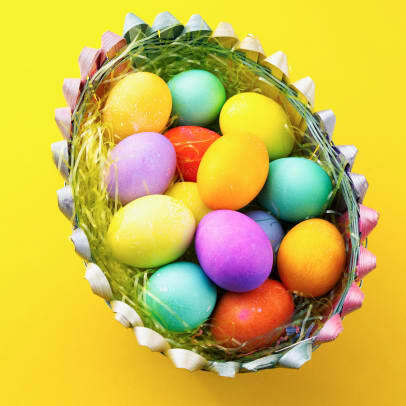 Easter is cause for celebration for a number of things: the arrival of spring, your beliefs, or the ability to spend time with friends and family. Here are some of the events happening around Easter in Bloomington-Normal! Get outside and enjoy spring as the Town of Normal and the Normal CornBelters help the Easter Bunny provide an exciting event for the whole family. Easter eggs, games and prizes will be provided at the Corn Crib stadium for the Town of Normal’s annual Easter Egg Hunt. Join Normal Parks and Recreation in partnership with the Bloomington-Normal Jaycees for the 4th annual Doggie Easter Egg Hunt. For a recommended $5 donation, your furry friends will have the chance to visit with the Easter Bunny, hunt for treat filled eggs, and kick off spring with a fun-filled day at the park. The American Passion Play takes you to Palestine, 30 A.D. You’ll travel with Christ, seeing the world as He saw it. You’ll follow His ministry and life from the Sermon on the Mount to the Resurrection and Ascension. You’ll hear His words, as vital to you now as they were to the people of his time. The American Passion Play, unlike other passion plays, dramatizes Jesus’ entire ministry, rather than just the events from the Passion Week onward. His teachings on faith, love, justice and righteousness are still our best hope for solving today’s complex problems. The message of his three-year ministry has a larger meaning for our daily lives than do the emotions of Passion Week alone. Don’t spend Easter Sunday in the kitchen; let the Marriott and Doubletree do the cooking for you! The Marriott’s brunch will feature chef’s action stations for omelets, waffles, turkey, ham, beef steamship and a Bloody Mary and Mimosa bar. The Easter Bunny will also be on hand to take pictures with children. At the Doubletree, you can choose from a bacon bar, prime rib and glazed ham, or an omelet station. Bring your camera, because the Easter Bunny will be available for pictures!